"I don't connect to stories, I just connect to people. 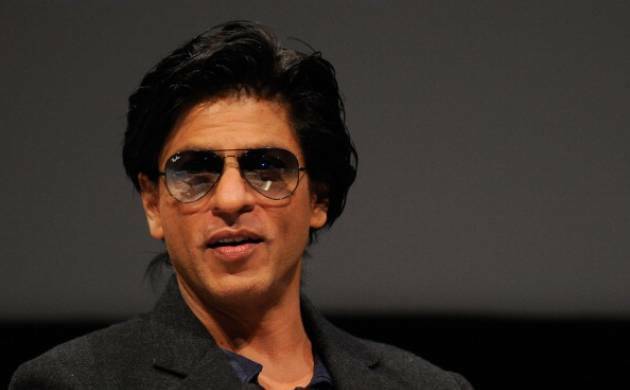 Ashutosh (Gowariker) is a friend, he made 'Lagaan', I could have gone ahead with it but I chose 'Swades', says SRK. SRK's glorious 25-year run in Bollywood may suggest that Shah Rukh Khan has a meticulous process of choosing his projects but the superstar says his lone requirement to get onboard a film has always been to find a connect with the filmmaker. "I don't connect to stories, I just connect to people. Ashutosh (Gowariker) is a friend, he made 'Lagaan', I could have gone ahead with it but I chose 'Swades'. I didn't choose the film, I chose him because of his feeling of wanting to make 'Swades'. "People think 'I will make a film with him because he will make a superhit'. It is not like that, I never ever listen to stories and people think I am lying when I say it, but I am not," Shah Rukh told PTI in an interview. The actor says director Aanand L Rai, with whom he is collaborating next, wants to narrate him the script of the film but he has declined. SRK believes it is an inconsequential exercise since he connected with Rai already and does not need to hear the story. "I haven't even heard Aanand's story. He calls me and says 'when should I narrate the story?' and I asked him to tell it to me on the sets when we begin shooting. I really connect to people and that is how it should be. "Sometimes it goes right and sometimes the expectations are differed. I really believe that the film is a filmmaker's prerogative and an actor should not come in the way. "The "Fan" star says people assume that he has achieved it all in life considering his long, continuing career, fame and success but it is not true. He says although he does not believe in planning his next move, he knows that there is so much more to do and greater things to achieve. "I don't believe in shaping, designing my career. I just do films. I haven't seen it all and done it all. There is so much more to do. "The best part of being an actor is that with every passing day you realise how little you are. Everyday I realise how little I know about acting. I feel the less you know, the better actor you will be. "Shah Rukh's last release "Fan" saw the superstar play a performance-oriented role and a stark departure from his popular films, which contributed to the tag of 'King of omance'. Next is Gauri Shinde's slice-of-life film "Dear Zindagi",releasing this Friday, in which he plays a life coach. It will be followed by "Raees" where he essays the role of a bootlegger, Imtiaz Ali's next and Rai's film.